So why not have one in your living room? 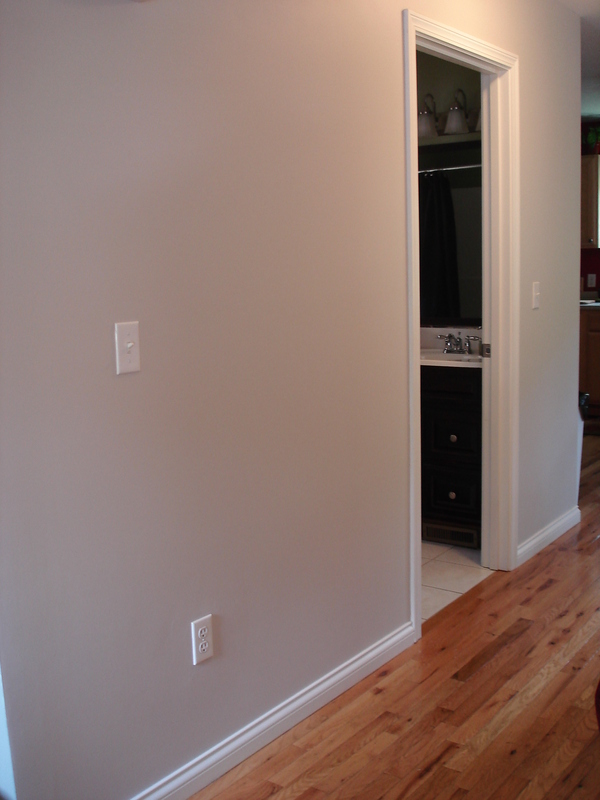 After painting the living room hallway, I hung some frames ready for the pictures of my choosing. Here is the start of the gallery. Yes, the frames are empty. My mom is coming in town this week, so I’m hoping to get some great family shots and fill in with older ones. 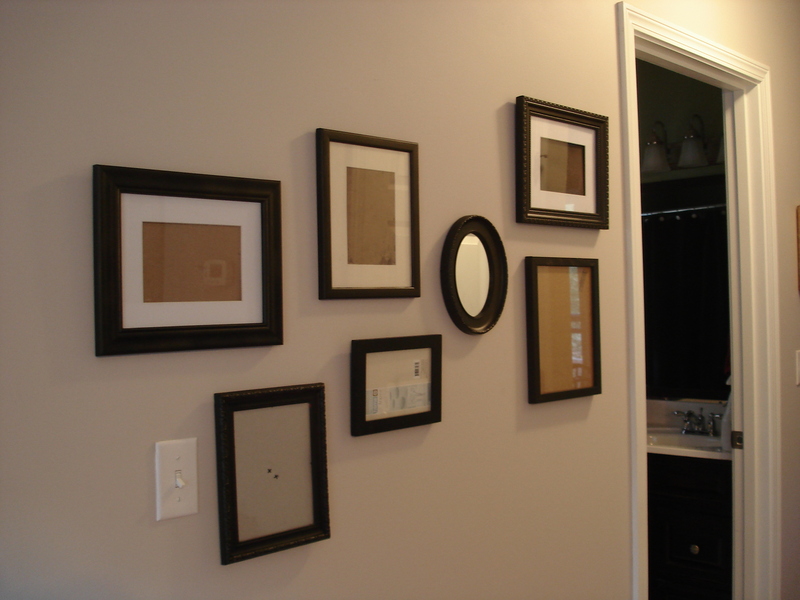 The frames all came from Goodwill, and I spray painted them with Krylon’s Oil Rubbed Bronze (as seen here also). I can’t wait to get pictures in these frames, and add to this wall over time!